The area around Les Halles in the dead centre of Paris still has a few clues to the fact that it used to be 'the belly of Paris': the city's heaving, roaring, rat-infested food market. 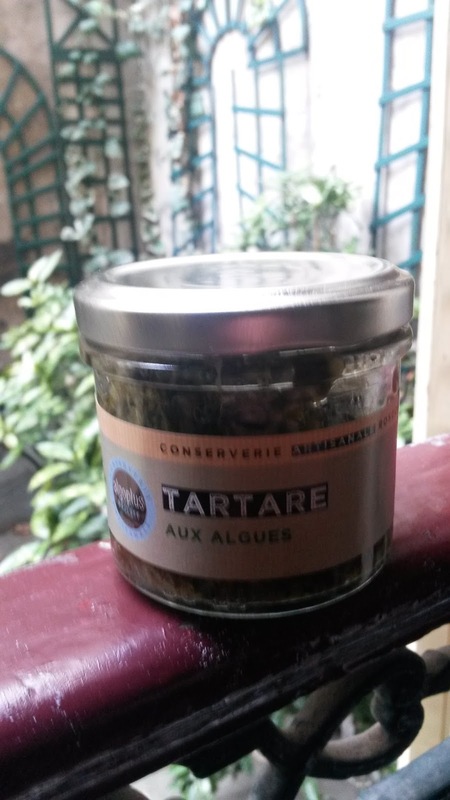 That's now moved out to Rungis in the suburbs, without the rats (maybe I'll tell you about my visits there one day). But around Les Halles you'll still find a few very traditional working class bistrots, as well as a collection of pro kitchen supply stores. That's what we're interested in. There's a pun in the name of this place. When pronounced, 'G. 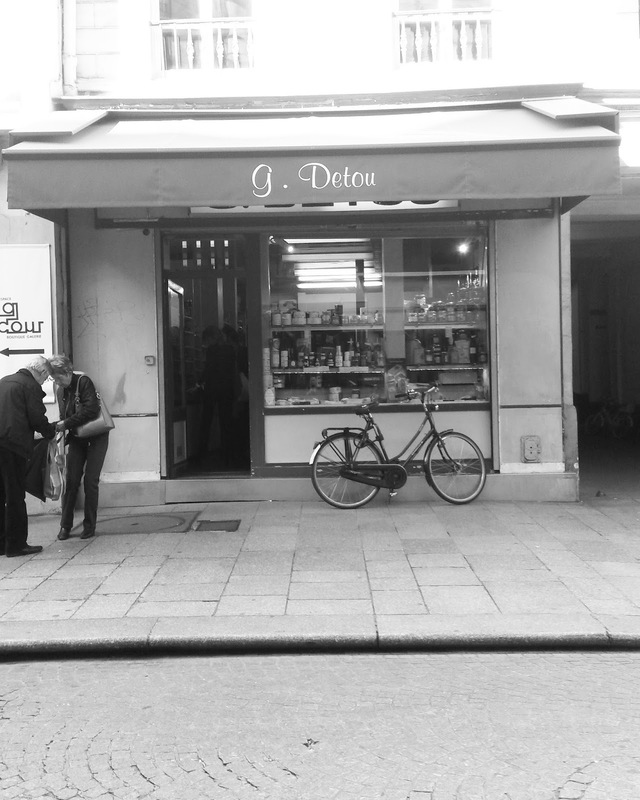 Detou' sounds the same as 'j'ai de tout', meaning 'I've got a bit of everything'. Which is the case for this treasure trove of a shop. 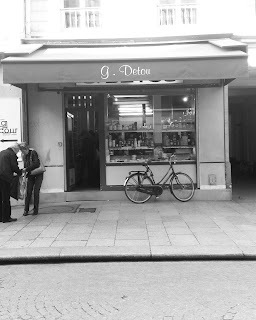 G. Detou is in fact two Siamese-twin-style shops. Through the door on the left you'll find the lady I like to think of as Mme. Detou, with her selection of goods. She also has an abundance of tips on everything from jam making to olive oil production. She is stellar. Then through the door on the right, you'll find floor-to-ceiling ingredients ranging from luscious jarred cherries to NH pectin. 'Mme. Detou' has a refrigerated display cabinet, but the real reasons to go to her are for the olive oil from Crete, which is truly delicious and reasonably priced, and the seaweed tartare, also delicious, also a bargain. 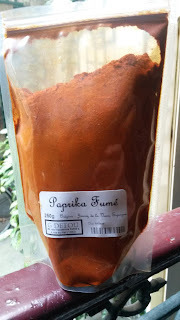 I've also got my eye on Madame's super fresh, plump and sticky-looking vanilla pods, but I haven't yet plucked up the courage to spend that much money on vanilla. Next door, there are spices galore, such as the fantastic smoked paprika above, as well as tricky to find spices like long pepper and mace. Plus all sorts of sweet fancy goods that are begging to be bought and given to people as gifts. Plus pro and semi-pro baking supplies: things like food colouring and industrial quantities of vanilla extract. And tonka beans. And the list goes on. While you're here, you might like to stop by the cooking equipment stores that are clustered in the area. There's one called A. Simon that's affiliated with G. Detou and is a little cheaper than the others, at 48 and 52 Rue Montmartre, just around the corner. Nobody does a better line in giant cake molds in the shape of French-colonized islands. 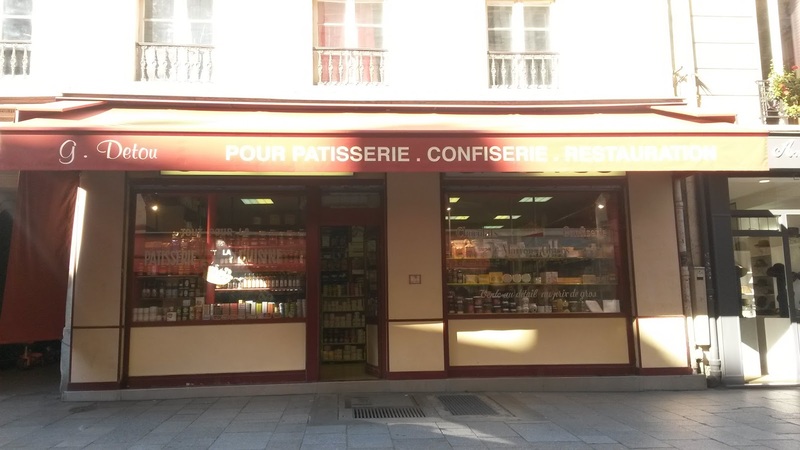 Or try the pricier, fancier Mora or La Bovida on the Rue Etienne Marcel. Or E. Dehillerin at 18-20 Rue Coquillière. Dehillerin has pretty awe-inspiring floor-to-ceiling shelves of professional cooking equipment, but tends to attract tourists as a result.